After giving a warm welcome to Chinese President Xi Jinping in India, Prime Minister Narendra Modi immediately started discussing business of improving ties between the two countries. 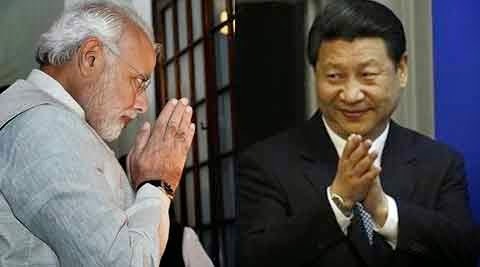 Narendra Modi promised Jinping for sharing the technique of successful poses in front of camera. Modi delivered 35 most successful poses he gave to the mainstream media that improved his popularity in the country. "It was a long pending demand from China. Chinese President specifically asked to insert the clause in our discussions that India would share the technical expertise of Mr. Modi's poses to camera. How he talks and how he creates his wave," said Shun Yu Ying, an official who was accompanying Jinping in his India visit. 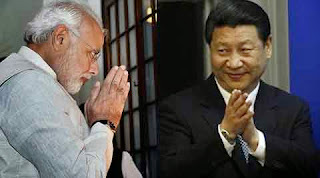 The official sources told India Satire correspondent that Narendra Modi has delivered first installment of 35 poses in the closed door meeting with Jinping. The sources told that Modi personally gave all the poses in front of camera and promised to send more such in next few months. 0 comments for "Prime Minister Narendra Modi discusses 'posing in front of camera' with Chinese President Xi Jinping"